In July 754, Pope Stephen consecrated a new dynasty to rule Francia: King Pepin, Queen Bertrada, and their sons Charles and Carloman. The most famous member of this family is Charles, today called Charlemagne, who would expand the Frankish empire so that it stretched from the Atlantic into today’s Hungary, from the North Sea to the northern half of Italy. However, Charles’s victories would not have been possible without Pepin and Bertrada seizing and securing the Frankish throne for themselves. For Bertrada and her husband, this moment of triumph with the pope at Saint Denis in Paris had been long coming. Four years earlier, then Mayor of the Palace Pepin portrayed the last Merovingian as a king who carried the title but did little else. After all, his delegates might have argued to Pope Zacharius (Stephen’s predecessor), Pepin and his older brother Carloman, another mayor of the palace who later retired to a monastery, were the ones who went to war in Bavaria, Alamannia, and Saxony. Shouldn’t the guy who did the job also carry the title? The pope said yes. With that endorsement, Pepin staged a bloodless coup, sending the Merovingian and his son to the cloister. Not only did the bishops and counts elect Pepin as king; they elevated Bertrada to queen, when there was no Merovingian precedent to do so. We don’t know whose idea this was, Pepin’s or Bertrada’s, but it shows how important Bertrada was to Pepin’s reign. With Bertrada as the consecrated queen, this signaled a new ruling family was in charge. If this Frankish noblewoman from Laon was not as ambitious as her husband when they wed in 744, she certainly was in the years that followed. She play a key role in confining royal power to the immediate family. When Carloman emerged from an Italian monastery in 753 and traveled to Francia to advocate on behalf of the son entrusted to his brother and argue against an invasion of Lombardy, Bertrada might have been the one to keep him in line. As the Franks answered the pope’s plea and invaded Lombardy in 755, she stayed with her dying brother-in-law in Vienne. Carloman’s sons were later tonsured, rendering them unable to inherit. To modern eyes, this looks power hungry, but with the Frankish tradition of rulers dividing the kingdom among surviving sons, limiting who could inherit also curtailed the possibility of civil war. The elder Carloman was not Pepin’s only troublesome relative. For years, Pepin had fought literal battles with half-brother Grifo over the inheritance from their father, Charles Martel. One of them was over the Duchy of Bavaria, where Grifo captured Hiltrude, Pepin’s full sister, and her young son, Tassilo. After rescuing his sister and nephew, Pepin gave Grifo 12 counties in Neustria. Apparently, Grifo was unhappy with that arrangement and fled to Gascony, where he was later killed in 753. Bertrada continued to play an active role in her husband’s reign. Together, they gave land to the abbey at Prüm, a way to seek divine favor, and she was responsible for hosting foreign ambassadors from Constantinople and Baghdad, the latter presenting dietary challenges. 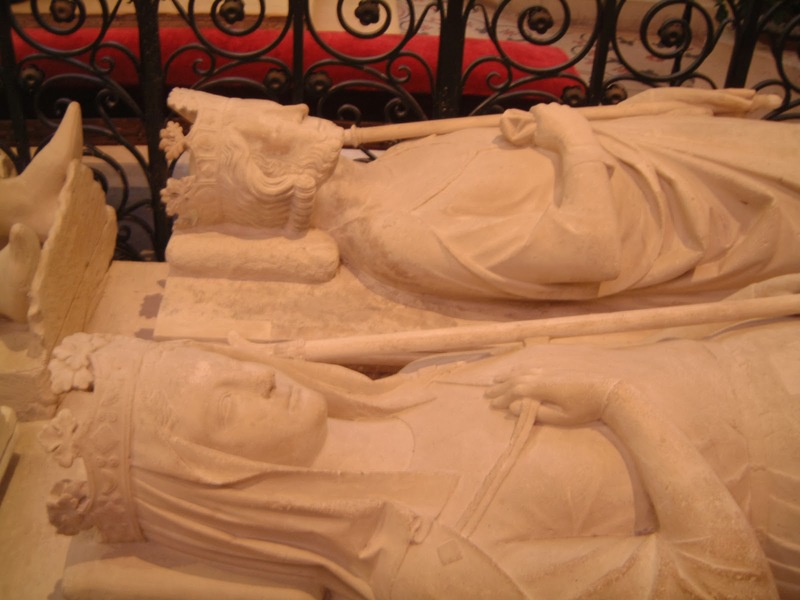 She was with her husband with he died at Saint Denis in Paris in 768. On his deathbed, Pepin followed Frankish tradition and divided the kingdom between Charles and Carloman, ages 20 and 17 respectively. By that time, he had chosen Frankish wives for them. Were past family troubles on Bertrada’s mind as her own sons were elevated to kingship? If Francia was going to keep the hard won province of Aquitaine or even expand its territory, the Franks could not be embroiled in a civil war between two young men. A year after their father’s death, there was tension between the brothers when Carloman did not help Charles suppress a revolt in Aquitaine. I’ve read a couple of scholars who say Bertrada’s motivation for what happened next was to give Charles an advantage over Carloman, but I think even though she resided with Charles, Bertrada was trying to prevent her sons from destroying the kingdom she and her husband had acquired. Despite an assassination attempt on the pope by one of Carloman’s legates, the peace mostly held. That is, until Carloman died in December 771. Charles seized his brother’s lands, despite the fact that Carloman had two young sons. The annalists don’t tell us Bertrada’s sentiments, but it is safe to say she sided with Charles over her grandsons and the daughter-in-law who would rule as regent. She might have been angry that Charles set aside the Lombard princess to marry Hildegard, who came from an important family in his dead brother’s lands. No doubt she saw the danger in insulting the ruling family of Lombardy, but her son’s action did unite the kingdom she and her husband had worked so hard for. “Pavia and Rome: The Lombard Monarchy and the Papacy in the Eighth Century,” Jan T. Hallenbeck, Transactions of the American Philosophical Society. Bertrada makes brief appearances in Kim Rendfeld’s novels, The Cross and the Dragon (2012, Fireship Press) and The Ashes of Heaven’s Pillar (forthcoming, Fireship Press). 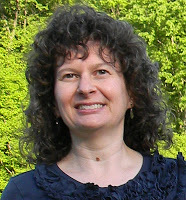 For more about Kim, visit kimrendfeld.com, her blog Outtakes of a Historical Novelist at kimrendfeld.wordpress.com, like her on Facebook at facebook.com/authorkimrendfeld, or follow her on Twitter at @kimrendfeld.